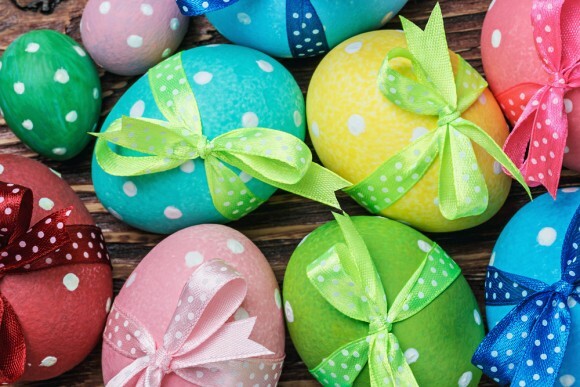 You have probably been to Christmas markets in Germany and sampled the mulled wine and Christmas cookies, but there are also Easter Markets (Ostereiermarkt) to delight you. Naturally enough, these feature eggs of all kinds. Easter markets are held throughout Lent in the run-up to Easter (they start forty days before the holiday). The International Easter Egg Markets in Seligenstadt, Main (situated between Frankfurt and Hanau on the River Main) is one of the most popular. This market is held in Seligenstadt on 21st and 22nd February in the Landschaftsmuseum which is inside what was once a monastery. Apart from the eggs on display, you can wander around the famous herb gardens there and breathe in the sweet-smelling air. It might surprise you to know that there are artists who specialize in decorating eggs from small ones to ostrich eggs, and this market in Seligenstadt is a showcase for their creations. These range from the bejewelled (with semi-precious stones so that they are affordable) eggs reminiscent of Faberge ones to plain eggs that you can buy to decorate yourself. This market is open on two weekends, and as there are different artists displaying their work, you wouldn’t be bored if you visited both. The artists come from Germany and many other countries to exhibit their art in Seligenstadt. The markets are open this coming weekend and the entrance fee is 5 euros. Children under 14 years of age don’t pay the entrance fee. Click on DB Bahn for train information. 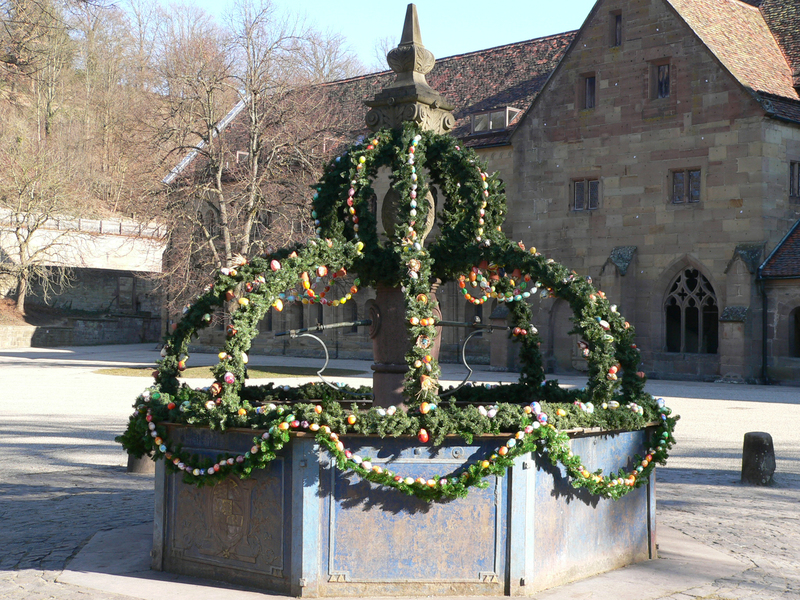 Maulbronn Monastery (Kloster Maulbronn) is a UNESCO World Heritage site dating back to the 12th century. While you are at the market, why not take a tour to see the monastery in all its splendor? There are guided tours every day, one at 11:15 a.m. and the other at 3 p.m. The Easter Egg Market is held in the Fruchtkasten Hall on the 28th February and 1st March, inside the monastery grounds and this was, in former times, the storage barn. Maulbronn is located between Heilbronn, Stuttgart and Heidelberg. There are many decorated eggs for you to wonder at, ranging in size from the small finch eggs to ostrich eggs. All are exquisitely decorated and the international artists are on hand to answer any questions you might have concerning their art. They demonstrate their techniques, and don’t simply work with eggs, but also utilize porcelain, wood, glass and stone. 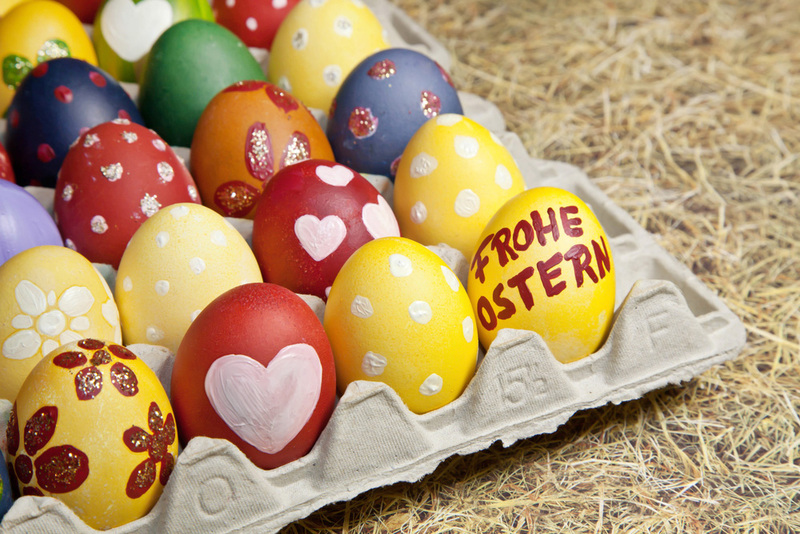 Michelstadt is in the Odenwald and its Easter Egg Market has been held for more than thirty years, this year it takes place of the weekend of 14th and 15th March. Of course Michelstadt is so much older, with a history going back to the 12th century. The egg artists at Michelstadt are from all over Germany and come to the market to demonstrate their techniques, answer any queries you may have about their art and, naturally, to sell and display their ovoid creations. Children might find it interesting to watch chicks hatch in the breeding demonstration. 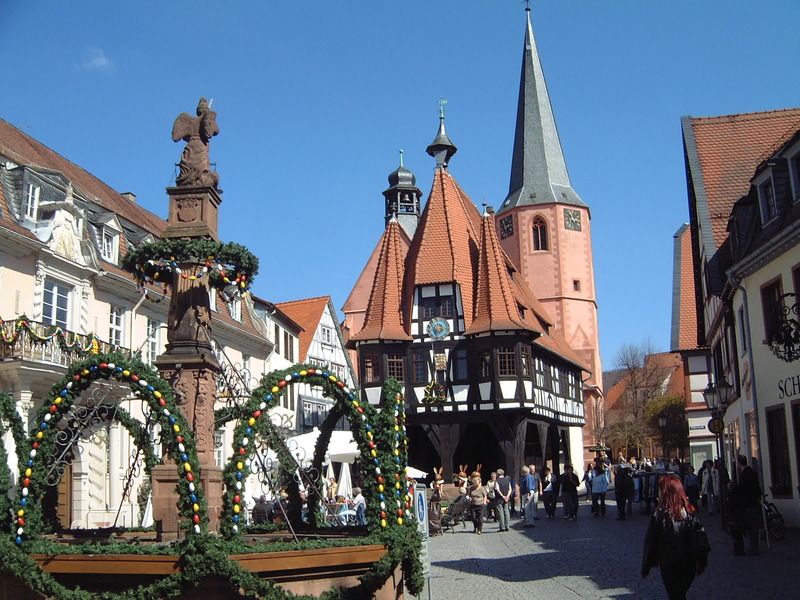 There are also Easter decorations and children’s books for sale and you can wander around this mediaeval town to admire some of its old buildings, such as the Town Hall (Rathaus) which was built in the 15th century. There is also the Toy Museum in Michelstadt which children of all ages will enjoy. There’s also the Michelstadt Castle which was converted from a Frankish manor house into a more stately building in the 10th century. It was destroyed but rebuilt in 1307. The town wall was built later in 1400 and the castle was incorporated inside for defense purposes. While at the castle and the walls, drop in to the Thieves’ Tower (Diebesturm) which is a corner of the castle, built in the 7th century and used as a prison from 1312. 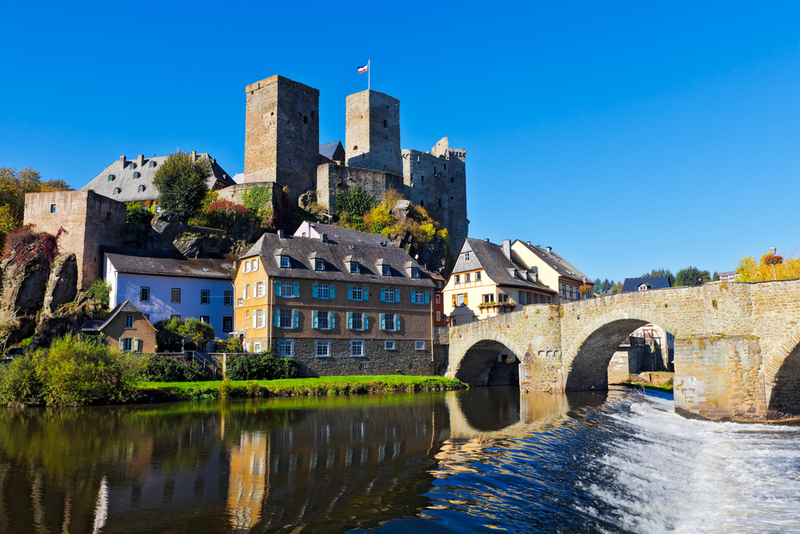 There is always a surprise around the corner in Germany’s medieval towns and buildings, and you might want to consider making a weekend of it so that you can see these towns in all their splendor. Perhaps you’ll just return at another time and season to see more of them.